Put ABCO’s experienced Design Build team to work creating a safe, reliable, and robust semi-automated or automated assembly equipment. We aim at providing high-quality solutions with competitive pricing and lead times. Application Criteria: Design and build a motor/fan housing assembly system that would improve the quality and efficiency of two production processes for a professional trimmer product line. 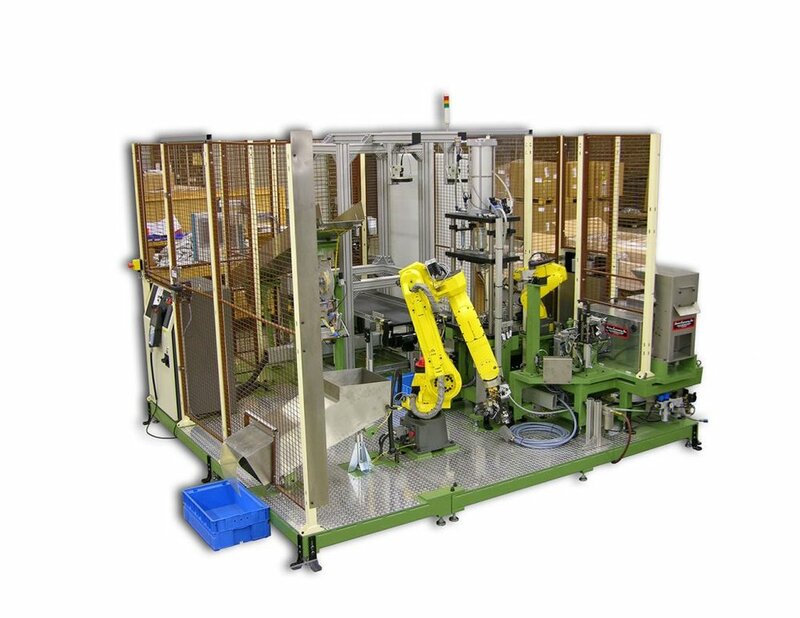 Perform multiple operations, such as picking, placing, and assembling, from a single robot. The FANUC LR Mate 200iC is a tabletop size robot with a slimmer arm profile, lighter weight and offers the highest dexterity, faster sustained speed and superior positioning accuracies, making it the ideal robot for a variety of applications including assembly. The FANUC M-10iA robot boasts the highest wrist movements and inertia in its class with a payload capacity of 10 kg or 22 lbs. With a wrist interference radius of only 110 mm or 4.33 inches, the M-10iA is about easy access into narrow spaces and easy integration into narrow spaces and small cells.